I've never had too much of an obsessive personality. Sure, I watched the first 6 seasons of Gilmore Girls on repeat when it came on Netflix, but I swear I'm not addicted to too many things. Summer veggies, however, make me make recipes over and over. 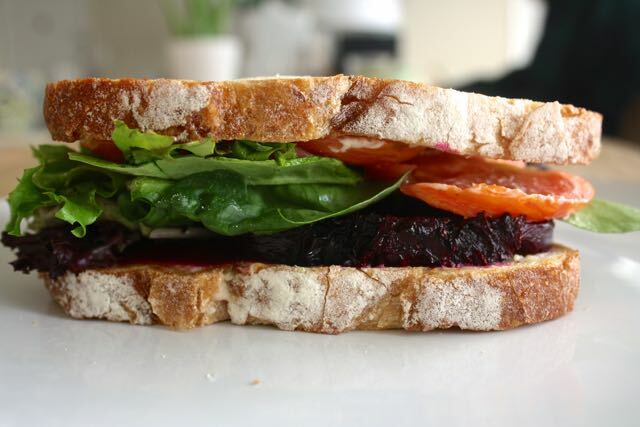 And soon enough I'm making the same beet & heirloom tomato sandwich every week. Chris first bought some fresh beets and heirloom tomatoes at the farmer's market a few months ago. 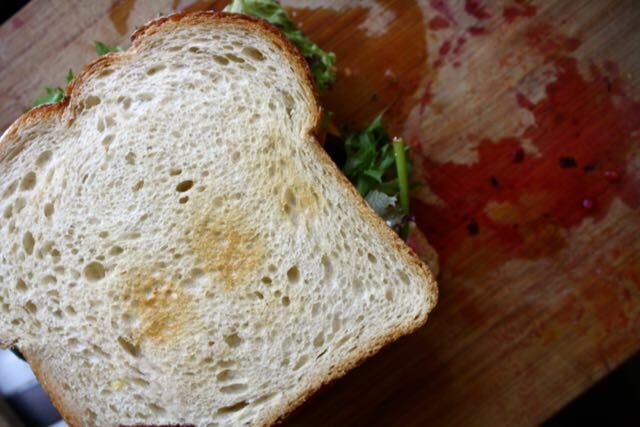 I was craving a sandwich, but since becoming vegetarian, have always been a little discouraged to make them. 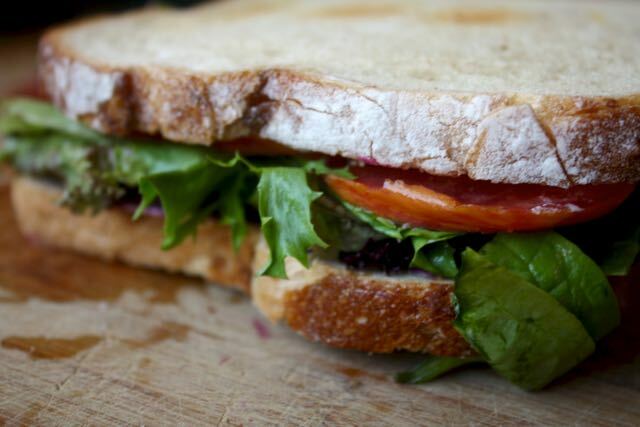 Good veggies sandwiches tend to involve roasting, special aioli, or some sort of fancy cheese. 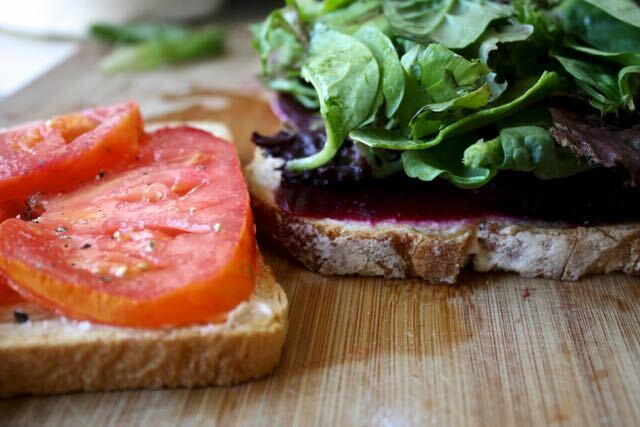 But with a little homemade garlic spread and some nice quality bread to go with our fresh summer veggies, this sandwich blew me out of my summer sandwich funk! 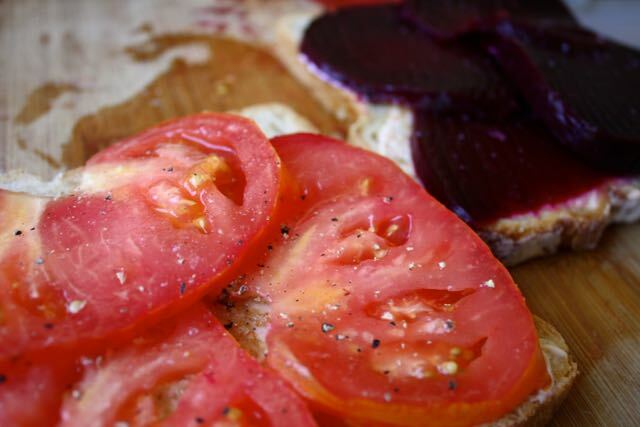 The rooty beets and sweet acidic tomatoes balance each other out with the spicy creaminess of the mayo. 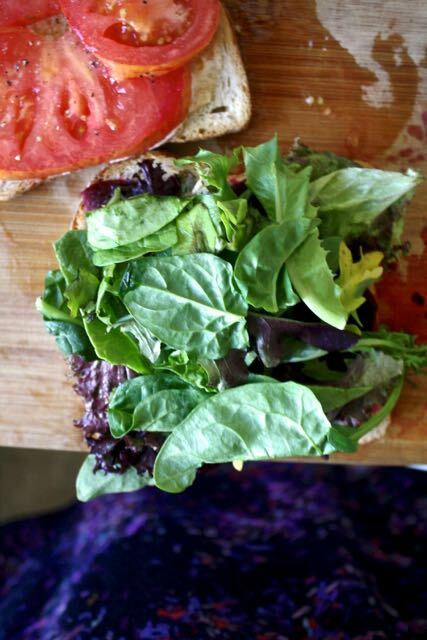 And the greens add a nice refreshing crunch. 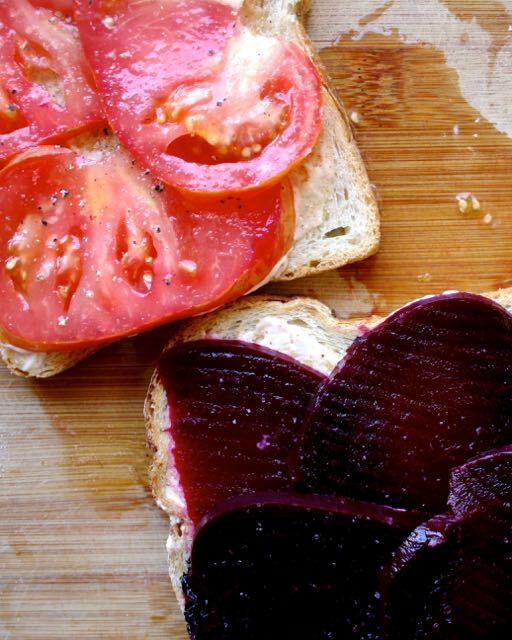 Vegetarian or not, promise this will be a favorite sandwich for you this summer. 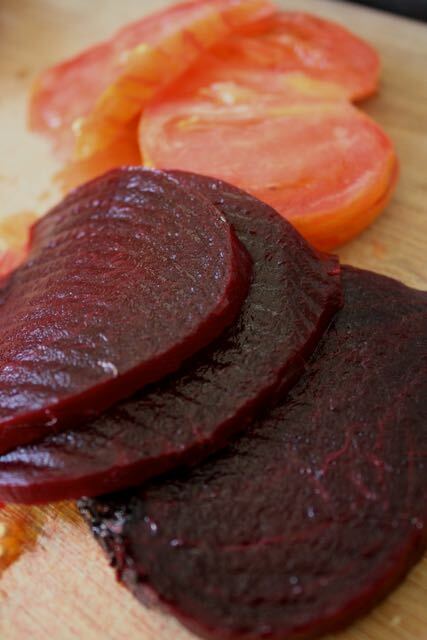 If you're one of those people that's scared of beets, I get it, they turn your hands all red and bloody looking and they take forever to boil. But here's a little secret, they're really super easy to cook, if you cook them just the right amount. Boil them so they're submerged for about 25-35 minutes. You can tell when they're done when you stick a fork in them and it slides right out but is still firm. Take them out, set them in a bowl with cold water. Then carefully peel them by pushing the skin off with your thumbs. Voila! Your hands will be reddish/pink for a bit, but you can wash it away fairly easily. Or you can just have fun telling people you had a really bad accident in the kitchen. Bad joke. Toast your bread. Press your garlic into a small bowl or mince it nice and fine. 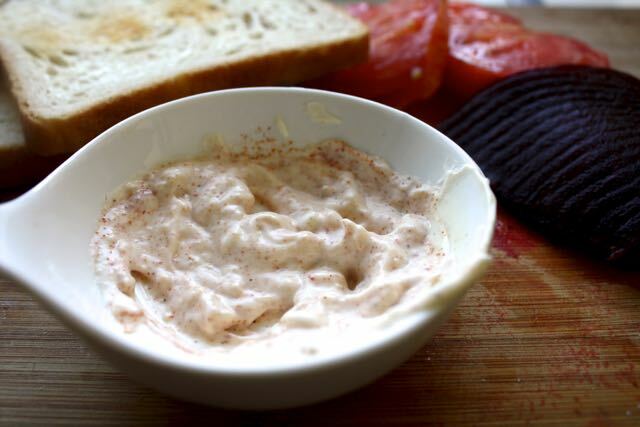 Add your mayo and dash of cayenne pepper and stir to make your garlic mayo. 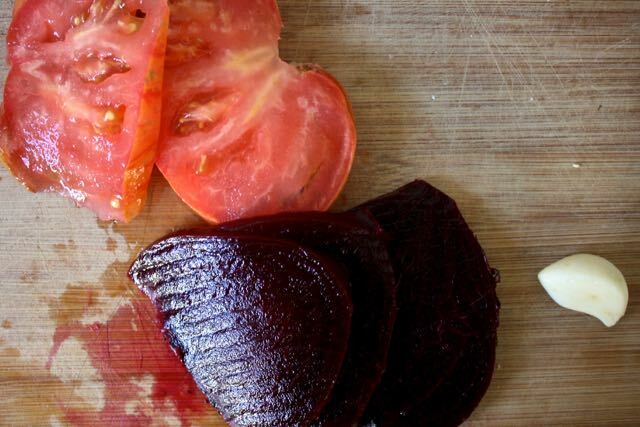 Slice your tomato and beet lengthwise and make even slices. 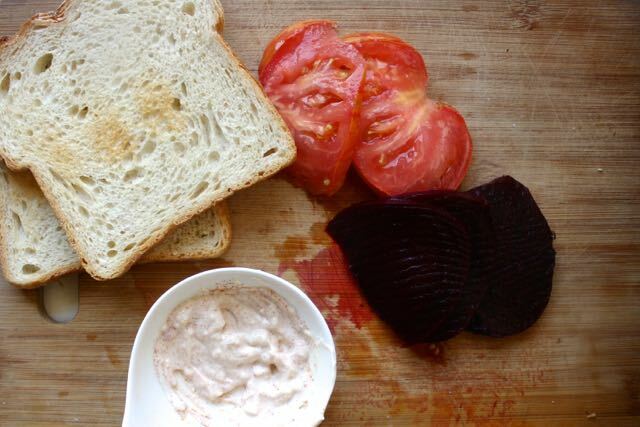 Then spread your mayo onto your toasted bread, layer your beets on one side and tomato on the other. Then lightly salt and pepper both sides and add a nice layer of lettuce between them. 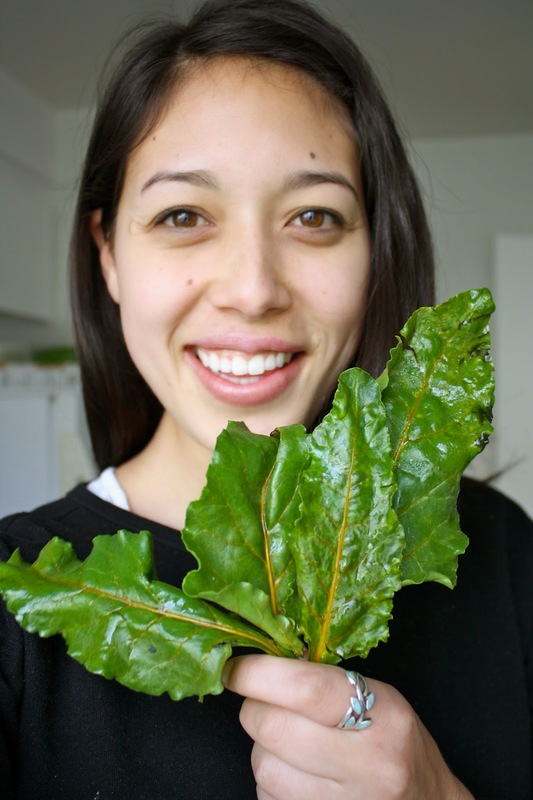 I chose mixed greens, but arugula might be nice and peppery as well! Close your sandwich and take a big bite. Enjoy with some sweet buttery pickles and a tall glass of H2O!